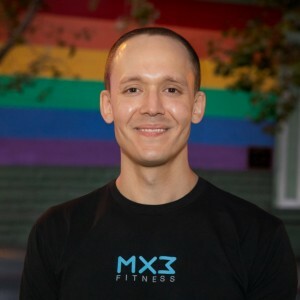 Will has been a personal trainer and group exercise instructor in San Francisco since 2012. His specializations include bodybuilding, weight loss and mobility improvement. He believes that lasting fitness goals are achieved by incorporating training and exercise that a client enjoys, so each of his clients receive individualized programs relevant to their goals, fitness history and lifestyle. Will aims to make all of his clients more capable and independent on the gym floor, so he emphasizes technical precision and safety at all times. Although he's a firm believer that training should be fun, when it's time to start the session, the work to reach your goals begins.